“Erin is a very kind and professional agent. She was extremely helpful when purchasing our home in Whistler. She kept us in tune with the current market and negotiated a very personal purchase for us. Even after the purchase, Erin continues to make us feel welcome in the Whistler Community. 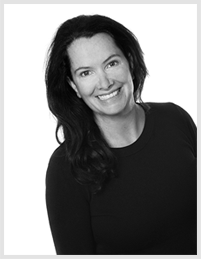 "Erin McCardle Steil is the most outstanding real estate agent I’ve had the pleasure of working with. I was living across the country and she orchestrating a complicated real estate transaction where timing was of the essence. Her knowledge of the Pemberton/Whistler real estate market and community is second to none. She went above and beyond the call of duty to ensure our family had thorough knowledge of the area, resources, education as well as knowing the house we purchased. if it wasn’t for Erin’s perfect attention to details and timing, I may have lost our dream home. Thank-you Erin for making our dream a reality and all your help getting established into the community. " For a dozen years now, Erin has managed to miraculously manifest several perfect properties for our real estate portfolio in the Sea to Sky corridor. Thrilled beyond measure with her realistic marketplace overview, informed professionalism, and sunny good nature with every sale. Thanks for resolving our housing crisis while we were overseas, against the odds – we love our new, already increased in value, home! Born on Prince Edward Island, Erin made the move west seeking the adventure that would fulfill her outgoing personality. After years of working in the ski industry Erin made her move to the real estate world in 2002. Erin is a strong, trustworthy salesperson that works solely with the utmost integrity and her client’s best interest as her main objective. A Whistler/ Pemberton resident for the past 26 years, Erin proves to have the market knowledge you need when selling or purchasing in the Whistler and Pemberton area. Whether needing information on Schools, contractors, recreation or other common needs when relocating or purchasing recreational property, Erin will guide you towards a seamless transition. Get real estate updates delivered right to your inbox!